Anyone who reads my posts knows that I love Collagen Shots. No, not the needle version but the fabulous powder mixed with water version. Crammed full of all kinds of healthy goodness, it’s marine collagen works wonders. I watched in awe as first my nails grew faster and stronger and then how my eyelashes thickened. Next was my skin and I’ve never stopped taking it since. Wonderful as this is for most of us, vegetarians are unable to use the product because of the source of the collagen. Until now. Wanting everyone to benefit, the lovely people at Rejuvenated (the award winning brand who produce Collagen Shots) have brought out a vegetarian version called Veggiecol. Veggiecol contains a highly concentrated extract from egg proteins ( much maligned in the past, eggs are in fact a pretty perfect protein ) combined with active skincare ingredients like hyaluronic acid. It also contains vegetarian-based proteins, glycosaminoglycans and glycoproteins in similar ratios to that of non-vegetarian supplements. It’s jam packed with various vitamins, copper and acai berry which is high in amino acids and antioxidants. Sadly our collagen synthesis starts reducing more and more rapidly over the age of 25. By the age of 45 it can have fallen by as much as 30%. That combined with external stressors like pollution and poor diet, begin to show up as wrinkles and dry skin. This is a way of improving elasticity and maintaining firm, plump skin. The capsules are free from gluten, sugar, lactose and artificial preservatives. Just like the original Collagen Shots, the ingredients are top notch with nothing that isn’t good or beneficial. 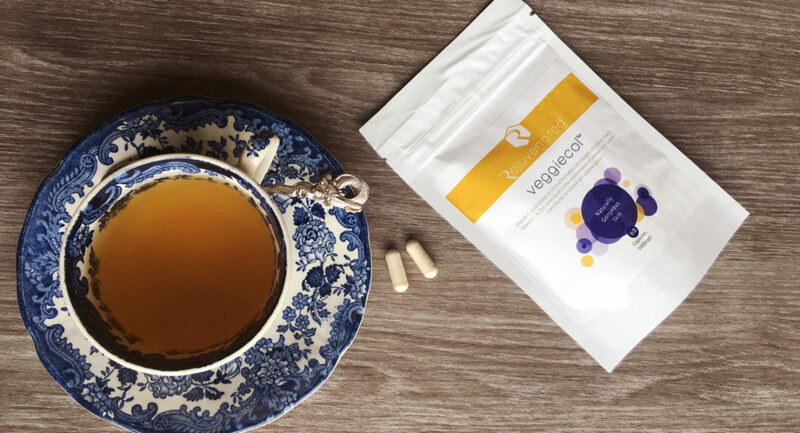 To win a supply of Veggiecol all you need do is sign up to the Ageless site ( if you haven’t already ) by the 16th December and go and like our Ageless Facebook page. Once you’ve signed up to the site, I will send out a special competition letter to subscribers to which you can reply saying why you would like to win some Veggiecol. You don’t have to be a vegetarian to enter! Reply to the special email next week saying why you would like to win some Veggiecol. We have 5 packets of Veggiecol to give away. Winners will be announced on 24th December. To go the Rejuvenated website click HERE. I am a fan of the wonderful Collagen Shots by Rejuvenated. They not only had a positive effect on my eye lashes and hair and skin, but also on my mobility. The odd little pain in my back and knee disappeared. Tried the Veggicol capsules – they are very convenient when travelling. Can highly recommend these products. I agree, great and more convenient for travelling.